Glossitis, an inflammation of the tongue, has numerous causes some of which include infection, burns, allergic reactions, and anemia. Although this disorder can usually be treated with commonsense approaches such as better oral hygiene, changes in diet and smoking habits, this condition can sometimes be mistaken for others or misdiagnosed completely. When glossitis is misdiagnosed and the underlying condition causing it is not properly treated more severe health problems can result. 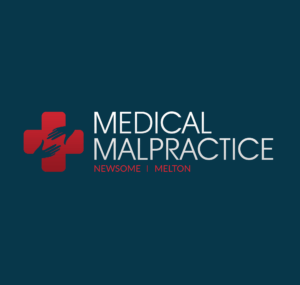 If harm results from a misdiagnosis of glossitis and the conditions causing it, a medical malpractice lawsuit can recover lost wages and medical expenses, as well as compensation for pain and suffering in some cases. Symptoms of glossitis include swelling, soreness and redness of the tongue. When papillae, the smooth, finger-like projections on the tongue, are lost, the tongue acquires a smooth appearance. Glossitis causes pain and discomfort in the mouth, and, if the tongue is swollen, sufferers may also have difficulties with swallowing, chewing and speaking. Although glossitis has a number of simple causes, such as allergies, trauma such as a burn in the mouth, and excessive use of alcohol or tobacco can also lead to this condition. Glossitis can also be associated with more complex disorders such as pernicious anemia, B-vitamin deficiencies, and syphilis. Glossitis is generally diagnosed by dentists and healthcare providers through a visual examination and medical history including questions concerning the patient’s lifestyle and food choices, a blood test may also be ordered. Often simple changes such as improving oral hygiene, reducing or quitting smoking and alcohol intake, or eliminating certain foods can help treat glossitis. If the glossitis is caused by a bacterial infection, antibiotics, antifungal or other antimicrobial medications may be prescribed. If the cause is a form of anemia or a B-vitamin deficiency, the doctor may prescribe supplements and dietary changes. Although the causes of glossitis are often easily diagnosed, this condition can be mistaken for such disorders as psoriasis, glucagonoma (a rare type of pancreatic tumor) and medial rhomboid glossitis (a diamond shaped plaque on the surface of the tongue) – conditions for which glossitis manifests as a symptom. If these underlying causes are not addressed, they can worsen, leading to additional expenses and further harm to the patient.